Rooms from $42.29 per night. Description This Kingsland, Georgia hotel has an outdoor pool, free internet access and non-smoking guest rooms. This hotel is also pet friendly. Freebies include Wi-Fi breakfast and parking at the non-smoking Rodeway Inn Kingsland located steps from popular restaurants. At the two-story Rodeway Inn Kingsland 46 rooms come furnished with free Wi-Fi flat-panel TVs coffeemakers microwaves and mini-fridges. Rise and dine every morning on complimentary breakfast goodies. Ice and vending machines are also on hand. 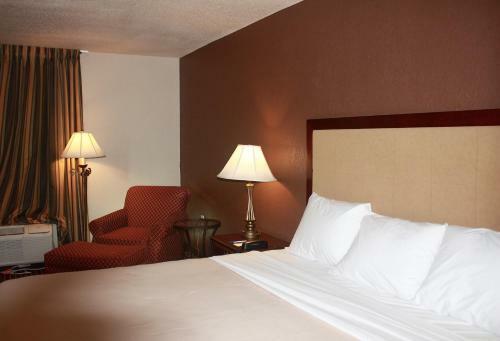 The hotel offers 24-hour front desk services and free on-site parking. Pets are allowed for an additional fee. 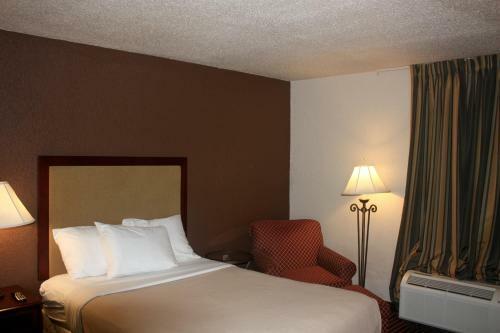 Situated off I-95 the Rodeway Inn offers guests a handy location within a couple of blocks of multiple dining options. A visit to downtown Kingsland takes less than five minutes by car. Drive to Kings Bay Base six miles east or visit the Cumberland Island National Seashore by St. Marys nine miles southeast. Guests are also a five-minute drive north of St. Marys River and the Florida State Line. The hotel lies within 26 miles of Jacksonville International Airport and Amelia Island. Add Rodeway Inn Kingsland to your free online travel itinerary.